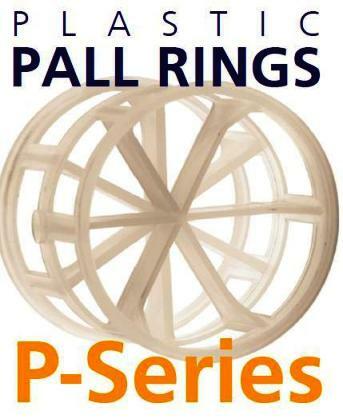 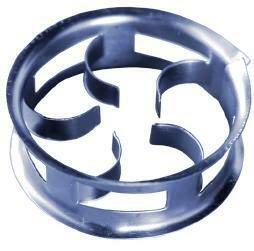 The Pall Ring Company produce a wide range of innovative tower packing products, manufactured in the UK. 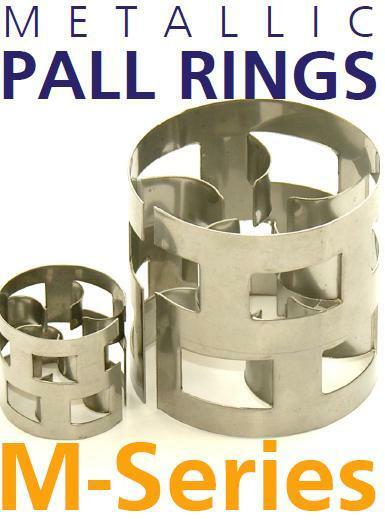 PERFORMANCE CHARACTERISTICS OF METAL PALL RINGS Capacity vs Pressure Drop • High loading & throughput / low pressure drop; • Good liquid / gas distribution and high mass transfer efficiency. 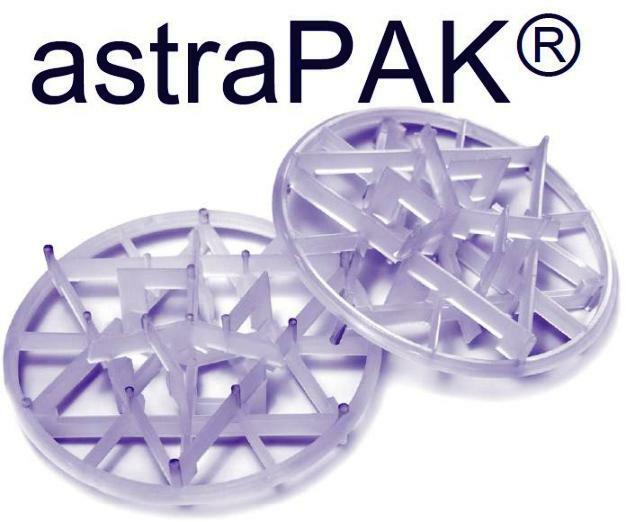 The astraPAK provides the lowest pressure drop of all The Pall Ring Company’s random plastic tower packing types; The low DP / unit height of packed beds allows: a high tower capacity, which in turn allows for smaller column diameters and fans in new bespoke designs; a significant reduction in the unit’s energy consumption; The highly efficient 2-phase contact, even at low throughputs, yields a high separation performance and facilitates a reduced packed height in new bespoke designs; The high liquid volumetric capacity allows for smaller column diameter in new bespoke designs. 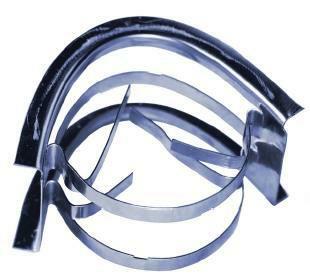 PERFORMANCE CHARACTERISTICS OF C-RINGS Capacity vs Pressure Drop • Lower aspect ratio increase capacity and reduces pressure drop • Its preferential orientation in a packed bed with the cylindrical axis in the vertical plane, allows a free passage for gas to flow through it • The lower pressure drop and higher throughput enables a smaller column diameter and fan size to be specified in new installations • The highly exposed internal and external surfaces provide an efficient vehicle for liquid–gas contact, by multiple drip-points • Lower tendency to nest, which means less channeling and fewer dry spots Fouling • More resistant to fouling because a combination of its vertical alignment and open sides, allow any solids present to be flushed downwards through the packed bed.